Soy-based food products, like soy milk and tofu, are often considered a healthy alternative to meat and dairy. However, numerous scientific studies have shown that soy can actually cause unwanted side effects and more alarmingly, negatively impact fertility. The main reason why soy is bad for fertility is that it contains phytoestrogens. This plant-based chemical mimics estrogen and disrupts the body’s endocrine function. Although few people realise the dangers of soy, this knowledge is not exactly new. Scientists have known about the ill-effects of soy since at least the early 1990s. A study conducted in 1992 by the Swiss Health Service estimated that drinking two cups of soy milk per day has the same effect as taking one birth control pill. Then, a study published in 2000 by the Departments of Preventive Medicine and Obstetrics and Gynecology, University of Southern California, Los Angeles, USA found that soy decreases luteal estrogen levels and lengthens menstrual cycles. Meanwhile, a 2005 study conducted by researchers at the National Institute of Environmental Health Sciences, North Carolina, USA found that soy causes miscarriage and infertility in mice. Another study, conducted by the Harvard Public School of Health in 2008, found that men who drank one cup of soy milk per day had a 50% lower sperm count than men who didn’t take soy. Because soy has been proven to cause abnormal menstrual cycles, altered ovarian function, early reproductive deterioration and subfertility/infertility, it is considered particularly harmful for women and men who are trying to conceive. Women who are pregnant or breastfeeding and infants are also discouraged from consuming soy-based products. But even if you rarely eat tofu or drink soy milk, you’re not completely out of the woods. In fact, you may be consuming soy in other forms. These days, many processed and refined foods contain soybean oil, soy flour, soy lecithin or soy protein. Therefore, you may not know that you’re actually eating soy-based foods as they’re hidden away in the ingredients list. It is important to note, however, that traditional fermented soy products, like miso and tempeh, may be beneficial to health. But the high intake of processed soy has a less desirable effect on health. Therefore, if you’re trying to get pregnant, it is best for both you and your partner to exclude soy from your diets. If you have any doubts or questions, as always, be sure to consult with your fertility consultant. Dairy is a good source of calcium, protein, vitamin D and phosphorus, which is why pregnant women are often advised to include dairy in their diet. After all, these nutrients are essential for a baby’s developing bones, teeth, muscles, heart and nerves. However, some studies have shown that some dairy products can be good for you, while others can be bad. So before you reach for that glass of milk or bowl of ice cream, let’s weigh the pros and cons of dairy. According to an eight-year Harvard study involving around 18,000 women, the moderate consumption of high-fat dairy products like ice cream, whole milk, yogurt and cheese is considered fertility and pregnancy friendly. This is because whole milk contains a complete protein that is important for egg quality. Their findings showed that dairy could reduce the risk of anovulatory infertility by more than 50%. and lower the risk of miscarriage by 33%. Meanwhile, another study by the Laboratory of Experimental Endocrinology, University of Crete, School of Medicine, Heraklion, Greece, has found that dairy may reduce the body’s unwanted immune response, which secretes antibodies that affect the fetus and can cause recurrent miscarriages. While the moderate intake of dairy is beneficial, the high consumption of milk has been linked to a decrease in fertility. This is because excess protein intake (more than 120 grams a day) can cause embryo implantation problems. In addition, women with dairy intolerance and allergies are more likely to miscarry. However, many people are unaware that they are lactose intolerant. 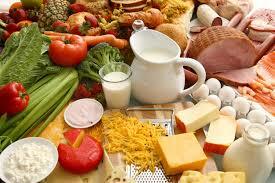 According to the Physicians Committee of Responsible Medicine, 75% of the world’s population is lactose intolerant. A study published by the European Journal of Obstetrics, Gynecology, and Reproductive Biology (2001) also found that eating butter and oil can double a woman’s risk for miscarriage. What about low fat dairy? 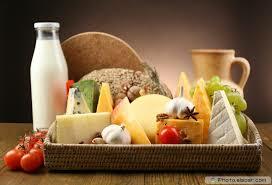 It is known that full-fat dairy foods contain the female hormones estrogen and progesterone. But when fat is skimmed from the milk, the process removes these hormones and leaves behind male hormones or androgens, which impairs ovulation. The same Harvard study mentioned above found that low fat dairy can increase the risk of ovulatory infertility by 85%. While we’re on the subject of hormones, it is important to note that because animal milk contains hormones, high intake of dairy may disrupt your own hormonal balance. Some of the fertility issues that can be associated with hormone imbalance are PCOS, Endometriosis and male infertility. A study conducted by researchers from the Cancer Epidemiology Centre, The Cancer Council Victoria, Melbourne, Australia has found that women who eat high amounts of dairy can have 15% higher estrogen levels, which may influence circulating concentrations of estradiol. Estradiol is a form of estrogen that while is necessary for many processes in the body can also cause harm to pregnancy and unborn babies. In traditional Chinese medicine, dairy is believed to be ‘damp’ and cause inflammation, which hampers fertility and causes problems in getting pregnant. 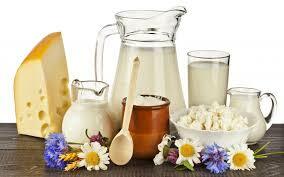 However, in Western medicine, several studies have been found that dairy can help reduce inflammation. For example, researchers from the Department of Nutrition and Biochemistry, School of Public Health, Tehran University of Medical Sciences, Iran discovered that probiotic yogurt can lower one marker of inflammation by 29%. A similar study by the Department of Nutrition Science-Dietetics, Harokopio University, Athens, Greece also identified an inverse association between dairy products consumption and levels of various inflammatory markers among healthy adults. They found that dairy lowers inflammatory markers by as much as 16%. These findings are supported by another study by the Department of Nutrition, University of Tennessee, Knoxville, USA, which found that calcium and dairy consumption can reduce tissue oxidative and inflammatory stress. From the findings above, we can conclude that the moderate consumption of whole dairy products is beneficial to fertility and pregnancy. However, if you’re feeling uncertain, don’t take the drastic step of cutting dairy out of your diet completely. Instead, speak to your fertility consultant about how much dairy you should be consuming. Maintaining a well-balanced and healthy diet is highly recommended, especially when you’re trying to have a baby. But did you know that a high protein, low carb diet could help to boost your fertility? That is precisely what a study by the Delaware Institute for Reproductive Medicine (DIRM) in Newark, New Jersey, USA has found. The study, which was conducted between January 2010 and December 2011, looked at 120 patients who participated in assisted-reproduction therapy programmes at the DIRM. The patients were asked to keep diet diaries and document what they ate, prior to undergoing an embryo transfer. According to the head researcher, Dr Jeffrey B. Russell, they wanted to understand why their thin and healthy patients had poor quality embryos. After analysing his patients’ diet diaries, he was surprised to see that a large percentage of the women were eating more than 60% carbs each day and 10% (or less) protein. Those who ate like this were found to have poor quality embryos. 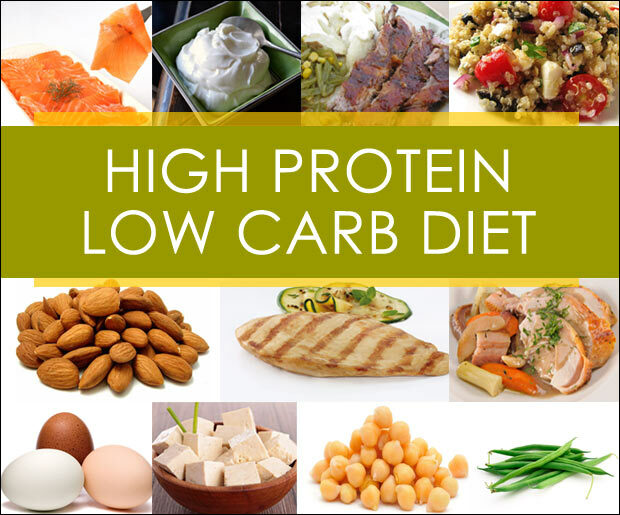 Meanwhile, patients whose daily protein intake was 25% or more of their diet and whose carbohydrate intake was 40% or less of their diet, had four times the pregnancy rates of other patients who ate less protein and more carbs daily. While no differences were found in the body mass index (BMI) of either group, there was a significant difference in egg and embryo quality. “Protein is essential for good quality embryos and better egg quality, it turns out,” said Dr. Russell. This conclusion was made after the research team assessed embryo development after five days of culture or at the blastocyst stage. It was found that 54.3% of patients whose daily protein intake was greater than 25% had an increased blastocyst formation. Meanwhile, patients whose daily protein intake was less than 25% had 38% blastocyst formation. The study also found that pregnancy rates significantly improved in patients with greater than 25% daily protein intake. Due to these findings, Dr. Russell and his colleagues at DIRM have made it a requirement for their patients to eat a diet consisting of 25% to 35% protein and 40% or less carbs for three months, before beginning their IVF cycles. So if you are looking to ensure the health and quality of your eggs, it is best to start changing your diet to include more proteins and less carbs. However, it is important to keep in mind that it’s not just about the right amount of protein, but the right kinds too. It is best for you to load up on low mercury fish and seafood like pomfret, sardine, salmon, tilapia, shrimp, shellfish, tuna (canned light) and cod; skinless chicken or turkey; eggs and lean beef, as well as fresh and full cream milk, cheese and yogurt. If you’re vegetarian, your best sources of protein are legumes like beans and lentils; nuts and seeds; as well as organic soy products like edamame and tofu.